1. Pupusas at Mercado World Foods. Walk towards the back of this tiny food mart in Albemarle Square, and you will hear the happy sounds of hands slapping fresh dough. Pupusas, a popular Salvadoran dish, are discs of masa de maiz dough typically stuffed with quesillo (cheese) and either pork, beans, or the flowers of loroco, a vine common in El Salvador and other parts of Central America. Mercado Wold Foods makes all three to order, and we cannot decide on our favorite. In all three, the hand-made dough steals the show. It goes straight from their hands onto a hot griddle, creating a crisp exterior with a warm and tender interior, sweet and redolent of corn. The pupusas’ fillings can be rich, which is why they come with the traditional side of curtido, a vinegary relish of cabbage and carrots. 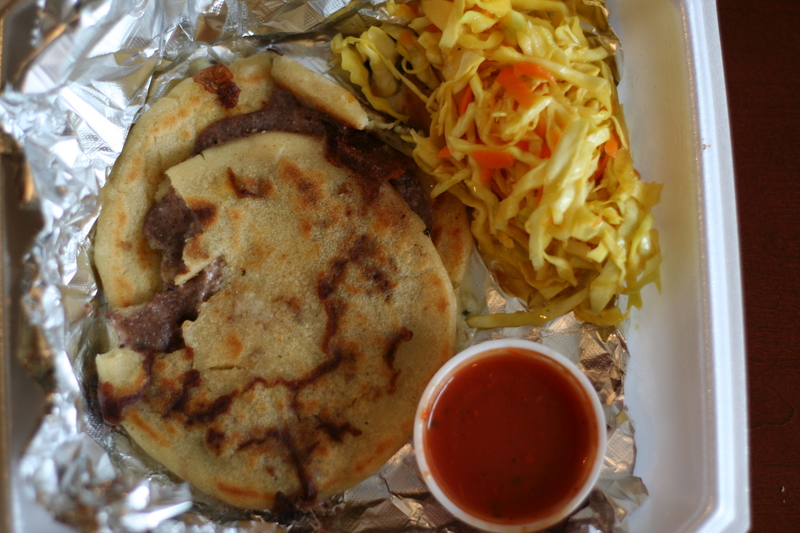 These pupusas have long been among our very favorite foods in Charlottesville. $1.75 each. One makes a snack. And, two make a decent meal. 2. Egg Salad Sandwich at The Whiskey Jar. When it comes to egg salad, we usually like to keep it simple. Mom’s on white bread is tough to beat. But, when we do feel like something a little more interesting, we have a hard time resisting The Whiskey Jar’s gussied up version. Egg salad, pimento cheese, forage greens, and preserved green tomatoes on sunflower wheat. 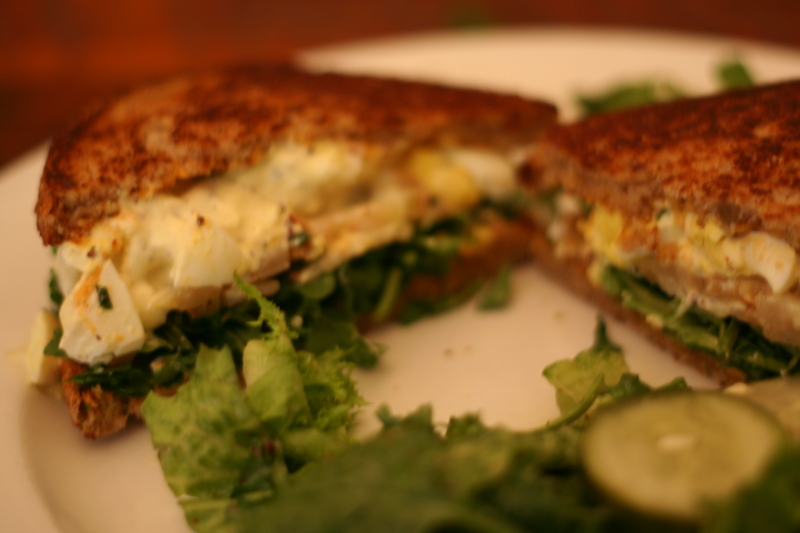 It’s about as good as an egg salad sandwich can get. Our one improvement is to ask them not to toast the bread. But that’s just a personal preference, of course. With a side of local greens in a tangy dressing, it makes for a hearty lunch for six dollars.